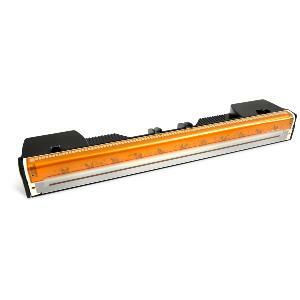 This is a genuine OEM printhead assembly for the VIP Color VP600 printer. Foil sealed in box. #LIFE SPAN#This printhead is expected to last for a finite period of time. Typically it should last for approximately 3.5 litres of ink, however this is not a guarantee. The printhead could last longer or shorter than this depending upon many environmental and usage factors as well as the condition of the printer's service station module which is responsible for maintenance of the printhead. Another key factor that will affect printhead life is the width of the labels being printed in relation to the width of the printhead. The printhead life stated above assumes that the full 220mm width of the printhead is in use at all times. Printing narrower labels will reduce the effective life of the printhead. For example, if you are printing labels which are only half the width of the printhead, it follows that the half of the printhead being used will only last for its share of the 3.5 litres of ink. By natural extension of this fact, printing onto very narrow labels will result in much more frequent printhead replacement. We recommend that where possible labels should be manufactured to maximise printhead use.